I usually posted the funny sayings, conversations, questions, etc on my personal Facebook page. My friends really enjoyed them, which gave me the idea to make the WordPress website. Of course, having an idea and putting it into practice have two very different timelines so for a long time I had the domain name and the idea but that was about it. After finally getting my first WordPress plugin published I decided to sit down and finish Things Kids Say. 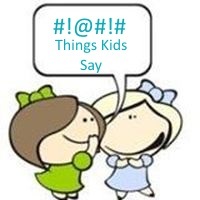 In addition to a collection of the funny things that kids say, the site also includes a shop featuring funny parenting books and other gifts, news articles, a newsletter so you can sign up and get the funny posts in your inbox, and, most importantly, a submission form. The most important feature of the new site is the submission form. Here visitors can submit posts of the funny things their kids say. While my kid has been pretty funny over the years, other kids are equally hilarious so I would love to include new material to increase the funny of the site. Please submit your own or tell others about it. Of course, the post must be approved, most meet certain criteria, etc … but all of that info is on the submission form. You can also follow Things Kids Say on Facebook and via Twitter. I hope you visit and enjoy the new site! And as always, if you would like assistance setting up your own personal site, please contact me.